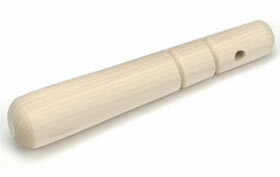 Suribachi wooden pestle for use with the Surbachi mortars. 6" suribachi with 7" pestle. The Suribachi is the Japanese version of the mortar and pestle. 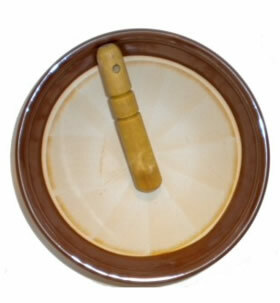 It consists of an earthenware bowl glazed on the outside. 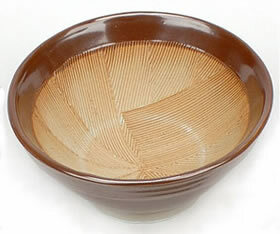 The inside of the bowl has a ridged pattern to facilitate grinding. It is used with a wooden pestle and the wood is used to keep the pestle from wearing down the ridges in the mortar. This is a small infuser for making a single cup of tea. It comes with a tray to catch the tea that leaks from inside. It is made of stainless steel. 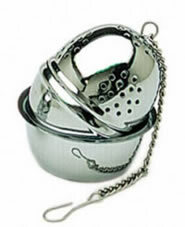 Contains: stainless steel infuser with tray.